The grant from the National Institute of Standards and Technology (NIST) will be shared between Binghamton University, Johns Hopkins University and Morgan State University. 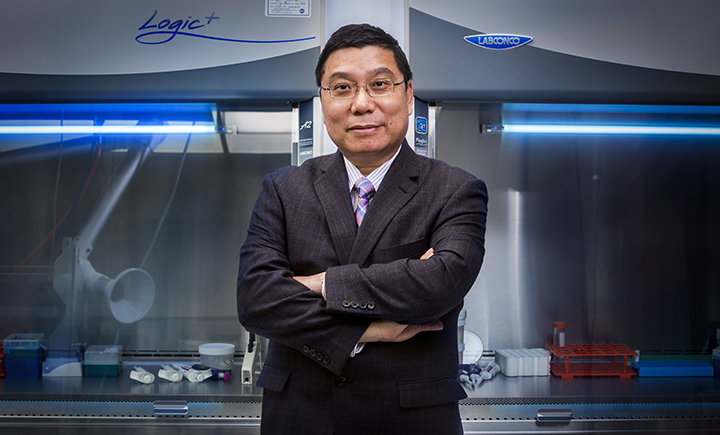 Professor and Chair of the Biomedical Engineering Department Kaiming Ye will be the principal invesigator for Binghamton University's part of the grant. The National Institute of Standards and Technology (NIST) has awarded a five-year Professional Research Experience Program (PREP) grant of $30 million to Binghamton University, Johns Hopkins University (the lead institute for the grant) and Morgan State University. The award will allow the Department of Biomedical Engineering at Binghamton University to send a faculty member, postdoctoral fellows, and graduate and undergraduate students to NIST every year for the next five years to conduct collaborative research in standards development. The grant provides the opportunity for Binghamton University to partner with NIST, a non-regulatory agency of the United States Department of Commerce, and the two other universities involved to develop standards for regenerative medicine and biomaterial manufacturing. The principal investigator (PI) from Binghamton University is Professor Kaiming Ye from the Biomedical Engineering Department. Ye, also the director of Binghamton University’s Center of Biomanufacturing for Regenerative Medicine (CBRM), will be working with $5 million of the grant. The three universities will also help the researchers trained through the grant to connect with each other to further advance the field. “The grant will provide a learning opportunity, a way to network with fellow researchers and a chance to better define the standards that all researchers will use in regenerative medicine and biomaterial manufacturing. It’s important that Binghamton University gets to be a part of that,” said Ye.